Mumbai: Automobile sales that grew in May picked up further speed in June, aided by new model launches and the low base of the previous year. India’s top five carmakers, Maruti Suzuki India Ltd, Hyundai Motor India Ltd, Tata Motors Ltd, Mahindra and Mahindra Ltd and Toyota Kirloskar Motor Pvt. Ltd collectively sold 216,660 units during the month, up 43.7% from 150,772 units a year ago. Automakers in India consider dispatches to dealerships as sales. The low base of the previous year was due to the goods and service tax (GST) regime, which was implemented on 1 July last year, as firms slowed dispatches starting May. New model launches by four of the five carmakers reporting sales, also led to a jump in numbers because they filled inventory channels. Passenger car market leader Maruti Suzuki’s domestic sales (excluding vans and commercial vehicles) jumped 45.32% to 121,851 units in June over a year ago, as the compact car segment led growth with a 76.7% jump to 71,570 units. 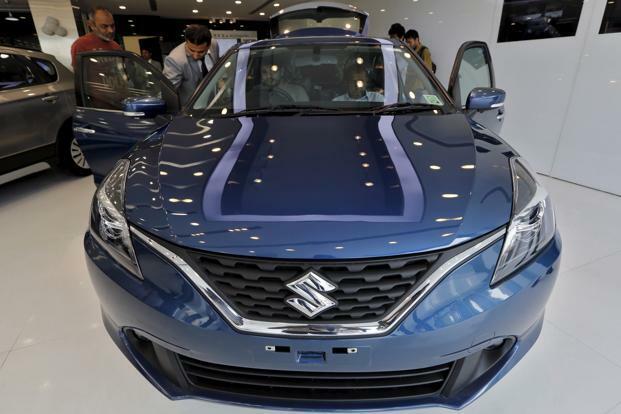 The local arm of Japanese automaker Suzuki Motor Corp. continues to face robust demand for the next-generation Swift, premium hatchback Baleno and compact sedan Dzire in this segment. The utility vehicles segment, including the best-selling Vitara Brezza and S-Cross models, also contributed with a 39.2% rise in sales to 19,321 units over June last year. An automatic transmission variant of the Brezza was launched in May. Old workhorses Alto and WagonR also contributed with a 15.1% rise in sales, a change from the declines in April and May. Sales of mid-sized sedan Ciaz continued to slow, declining 60% during the month. Hyundai Motor India clocked 45,371 units in sales during June, a 20.8% growth over the year-ago period, on the back of a new variant of the compact SUV Creta launched in May, and continued demand for other models such as the Grand i10 and Elite i20 hatchbacks and Verna sedan, according to Rakesh Srivastava, director of sales and marketing at the firm. Tata Motors reported a 62.9% rise in sales to 18,213 units in June, on the back of continued demand for its four new vehicles—the Tiago hatchback, Tigor sedan, compact SUV Nexon and full-bodied SUV Hexa, said Mayank Pareek, president of the passenger vehicles division at the firm. Tata Motors saw the combined production of Tiago and Tigor cross 200,000 units in June at its Sanand facility, added Pareek. The maker of the rugged Bolero SUV, Mahindra and Mahindra, posted an 11.9% rise in sales to 18,137 units during the month. Rajan Wadhera, president of the automotive sector at the firm “hopes that macro (economic) conditions such as fuel prices, interest rates and raw material prices remain at satisfactory levels” in the coming months in order to propel growth. However, analysts say retail sales, especially in non-urban geographies, have slowed down in June, breaking a trend prevalent since the quarter ended December.